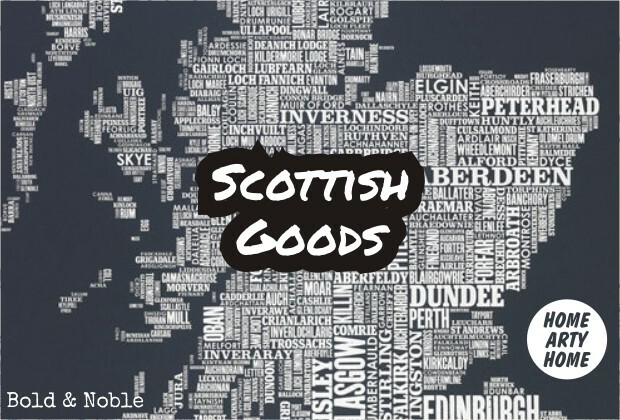 In a departure from our regular #HashtagFridays, we’re staying north of the border this week following our features on Mappliqué’s Scottish Cushions & Edinburgh-based blogs The Copperline & The Property Files. With the Commonwealth Games properly underway in Glasgow, we’re wrapping up our week of Scottish features today with a look at stylish home art and accessories. From clever clocks in Harris Tweed (how amazing is the grey one? immediately on the “must-have” list!) to stylish cushions and mugs, here’s our pick of Scotland-inspired goods for the home.